Crystalline silica is a common mineral in the earth’s crust, and is found in many types of rock including sand, quartz, and granite. 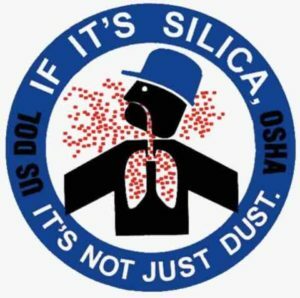 Silica is present in both work and non-work environments, and exposure to crystalline silica dust has long been known to cause a disease called silicosis. When you inhale crystalline silica the lung tissue reacts by developing fibrous tissue around trapped silica particles. This condition of the lung is called silicosis. Keep awareness high–which is the key to preventing silicosis. 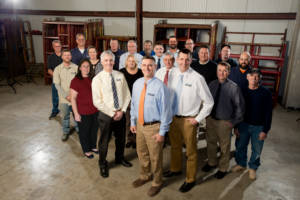 Recognize when silica dust may be generated and plan ahead to eliminate or control the dust at the source. Use Type CE pressure-demand, or positive-pressure, abrasive-blasting respirators when sandblasting. A lot of places to find out what is sandblasting and understand what is it and how to combat respiratory issues. Wash your hands and face before eating, drinking, or smoking and vacuum (don’t blow) dust from your clothing. Lungs take care of normal dust. Airborne dust and dirt is common at worksites–both at home and on the job. Fortunately, the body’s respiratory system does a good of job filtering out dust and most foreign bodies. Fine particulates such as asbestos and silica, however, are so tiny they can get past our filtering system. This may cause serious lung problems over an extended period of time if protection or controls are not used. Respect these tiny invaders. Use the appropriate personal protective equipment and safety precautions.